Get ready for this: Interoperability is on the cusp of a breakthrough akin to AT&T customers being able to pick up their phones and call Verizon subscribers. That's a convenience that's long been taken for granted, of course. So why has it taken so long for clinicians to easily access patient data in competing EHRs? It's invigorating. But even more important is how this new phase will change current thinking about the future of FHIR and open APIs, and lay the foundation for really using data in a meaningful way. That's the exciting part. 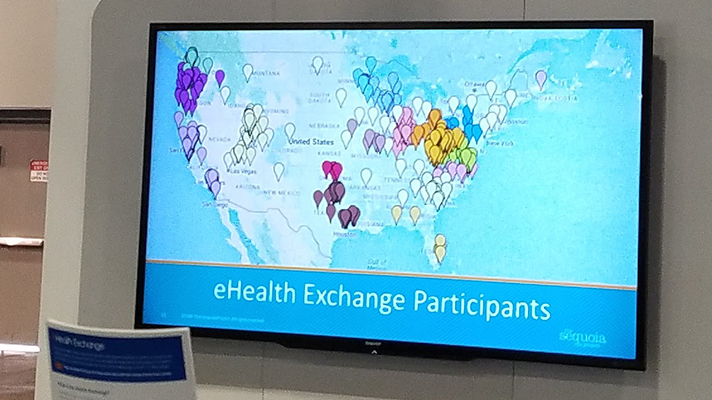 "This will be a signature moment in nationwide interoperability," said Tripathi, who is also CEO of the Massachusetts eHealth Collaborative and a veteran of interoperability working groups at the Office of the National Coordinator for Health IT. "I'm very sanguine about where interoperability is and where it's headed. You can decide whether that means I'm biased or bullish, but I think it's more the latter." Specifically, a member hospital in either Carequality or CommonWell using, for instance, a Cerner EHR will be able to run queries against another participating health system that houses patient data in Epic's system.